Here is comprehensive list of all the pre sale developments currently for sale on the North Shore. The following developments are in different stages of sales, marketing and construction. Suite availability and pricing changes daily so feel free to give us a call or send an email and we will provide you with current availability, including any developer promotions. Using a Realtor to purchase a pre sale home costs you nothing! I work with many clients in pre-sale purchases to make sure your best interests are looked after. We negotiate parking and storage, upgrades, move-in dates and more so make sure you are represented and do not purchase directly from the developer. If you have any questions, would like to arrange a tour or just chat about your options, please reach out! You can out the info form below or give us a call and we will follow up ASAP. Moodyville Neigbourhood of North Vancouver is going under a massive transition. Currently consisting single family homes, this area was targeted by the City of North Vancouver as community to redeveloped into a new walkable pedestrian friendly neighbourhood. Once completed, Moodyville will have 1500 homes within walking distance of Lower Lonsdale, with easy access to transit and trails to get you where you need to. 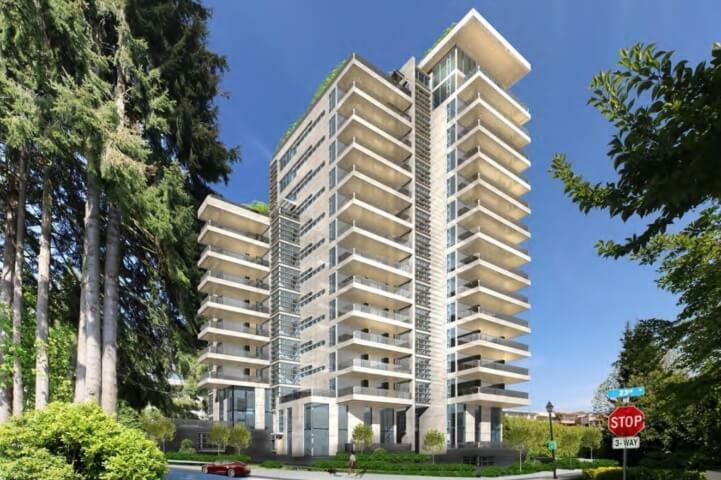 Award winning developer Cressey is proud to bring you their new ultra-luxury development – Bellevue. 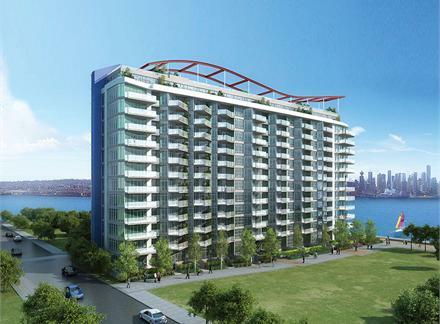 Located in the lower West Vancouver area, these near-waterfront units will feature very spacious units from 2000 s.f. to 3600 s.f. This complex will feature only 3 townhomes, with no more than 3 units per floor for the rest of the building. Be a part of the elite community in West Vancouver, within close proximity to shopping, dining, and of course the beach. 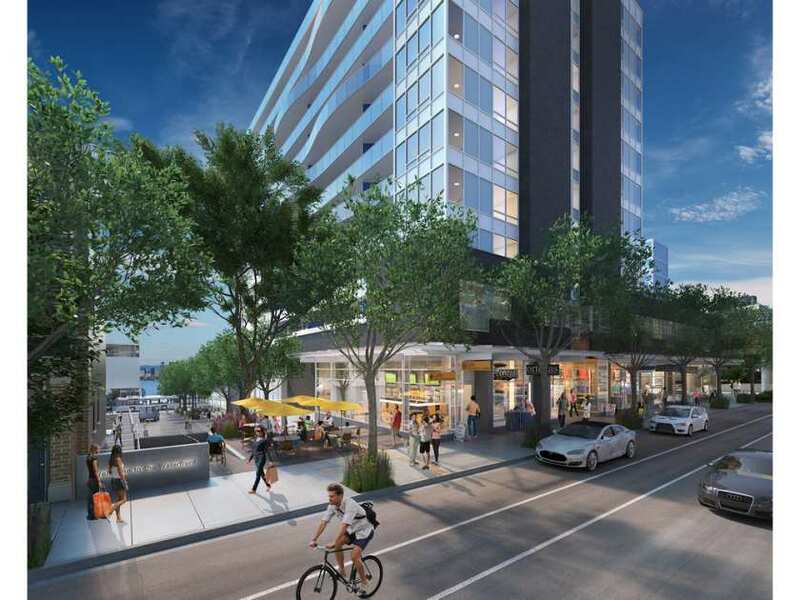 Promenade at The Quay is North Vancouver newest mid rise building. Located at the bottom of Lonsdale ave in vibrant Lower Lonsdale, Promenade at the Quay will consist 117 contemporary deigned apartments with gourmet kitchen, large open floor plans perfect for entertaining, spa inspired Bathrooms, large balconies, breathtaking views, and lively retail on the ground level. Welcome to First Street West in the fantastic Lower Lonsdale. Surrounded by a community of local shops, restaurants, cafes and only a 12 min sea bus commute to DT Vancouver. First Street West features 60 premium, spacious 1 & 2 Bedroom suites up to 1200 sq ft,. 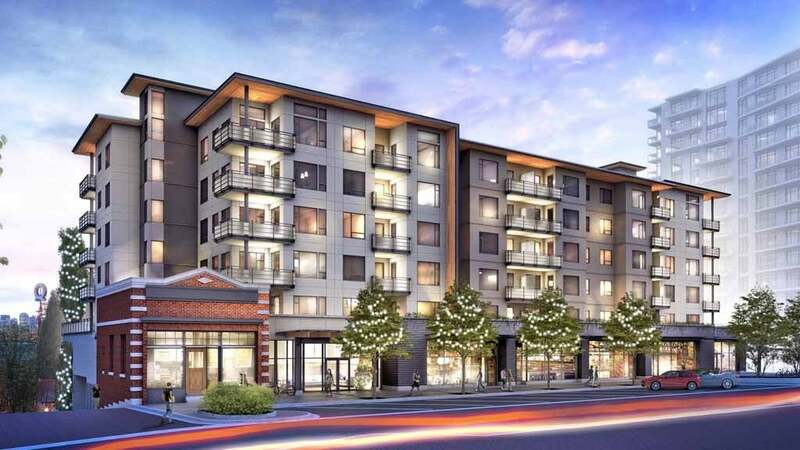 First Street West is developed by Fairborne, who has been quite active in the Lower Lonsdale area, specifically 100 block of West 1st, with a string of developments starting its redevelopmen with the building of Q, followed by Time, Sky, Capstone and now First Street West. Introducing the PEAK. British Pacific Properties newest addition to Mulgrave Park. 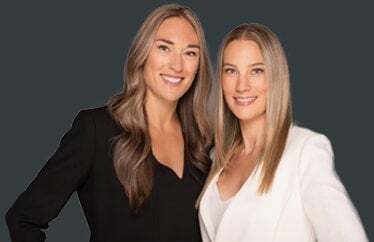 After the successful sales of The Terraces and Highgrove in their Whitby Estates developments, British Pacific Properties will continue their 80-year tradition of developing Canada’s most prestigious neighbourhood with the next phase. For those looking to downsize, The Peak represents a very rare opportunity to anyone looking to experience luxurious West Vancouver condo living or invest in one of the hottest markets in the world. All the homes at the Peak at Mulgrave Park will have unobstructed city, ocean, and island views. With only 20 semi-detached homes, Aston Hill homes are built with exceptional quality to match the exclusiveness of what makes the British Properties one of Canadas Most prestigious neighbourhoods. Almost all the homes provide entertainment sized outdoor terraces with breathtaking views of the City of Vancouver, ocean and Gulf Islands. Located at the foot of the North Shore Mountains, Edgemont Village is one of the West Coast’s truly unique communities. 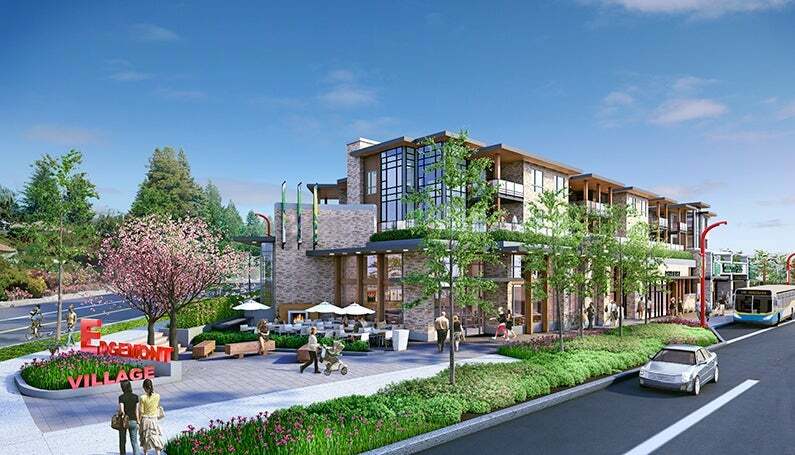 Ski slopes, Golfing, Shopping, the wilderness and a major metropolis are all within a few minutes of this village in the heart of the District of North Vancouver. Edgemont has a feel and lifestyle all its own. The project will feature a new Thriftys grocery store. It will be contained in the heart of the building, with only a small opening to the street. Leaving room for other street-front uses, perhaps for a restaurant or other merchants that will ensure a human-scale façade that enhances the village experience and add to its vitality. Above the grocery store, there will be new 83 residences, consisting 1 bedrooms, 2’s, 2 plus dens as well as a 3 bedroom condos as well as 23 City homes (townhomes) This whole development will meet the latest green-building standards through an architectural design that reflects the District of North Vancouver’s goal to be the leader in urban sustainability and resiliency. Located on the waterfront in beautiful Lower Lonsdale, its hard not to notice Trophy coming up. Trophy is the first of the final 3 towers to be build in Pinnacles’ masterplanned residential waterfront community. Trophy will consist of 108 units over 12 floors, most with some amazing West views of downtown Vancouver and the water. 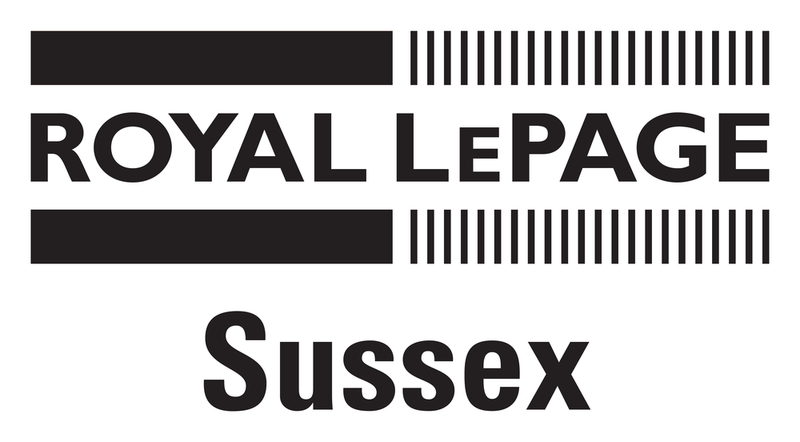 Each of the residences will have access to rooftop deck with fire pit, BBQ and hot tub, plus access to all the amenities and services of the neighbouring Pinnacle Hotel, including spa, pool, gym and fitness classes. After many years of planning, Bosa is finally set to release the first phase of the redevelopment of the lots South of Lynn Valley Mall. Floor plans, pricing and style of the homes have not been released yet, but when completed the Developement will have the look and feel of a mountain side village that will blend in to what Lynn Valley best offers to its residences. Community, walkability and healthy life styles. CentreView is a Spectacular new community centrally located at 13th and Lonsdale in Central Lonsdale. 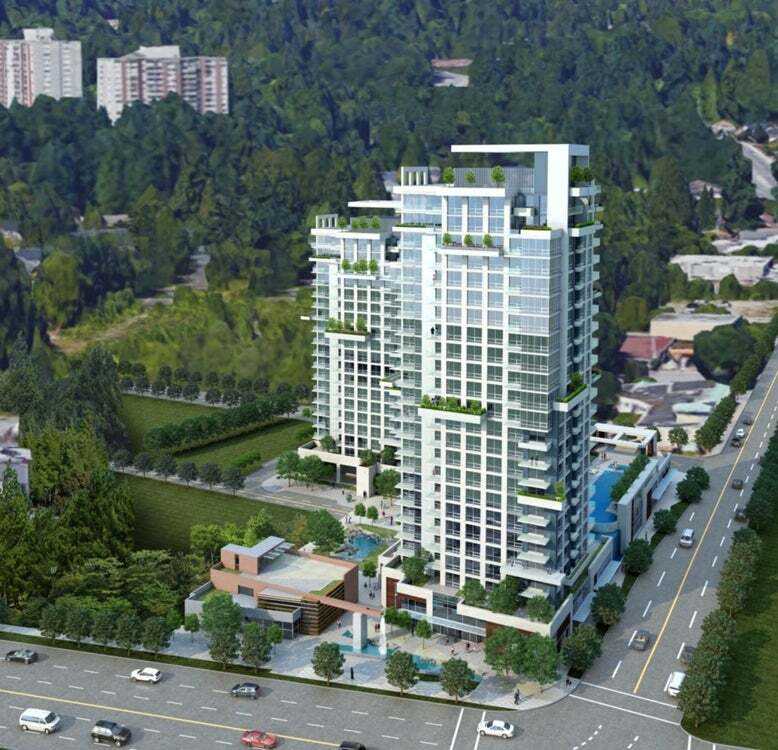 CentreView will boldly redefine North Vancouver, where you will be able to shop, pick up groceries, access transit, exercise or relax just steps from your brilliantly designed modern home. With over 90,000 sq.ft. of new shops, anchored by a Whole Foods, a pharmacy, a café and 80,000 sq.ft. 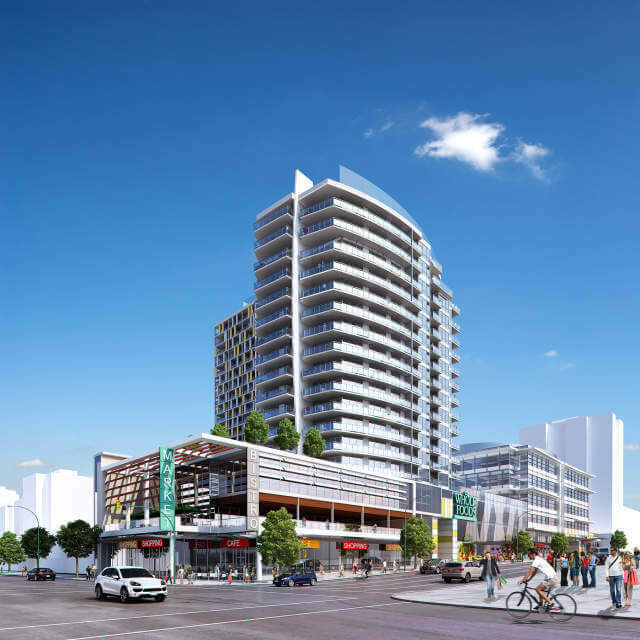 of professional office space, this striking mixed-use development will rise from the heart of Central Lonsdale to serve as the gateway to a rejuvenated North Vancouver. This already dynamic neighbourhood will come alive at CentreView, designed to be a central, walkable community. You’ll be surrounded by everything you need, living at the heart of it all.